Graham Avenue, Ealing. We remodelled the large kitchen at the rear of this lovely Edwardian house to make better use of the space and to create more storage for the family. The result is a bright, sunny, modern room with plenty of space for eating, relaxing and ideal for enjoying quality family time together. 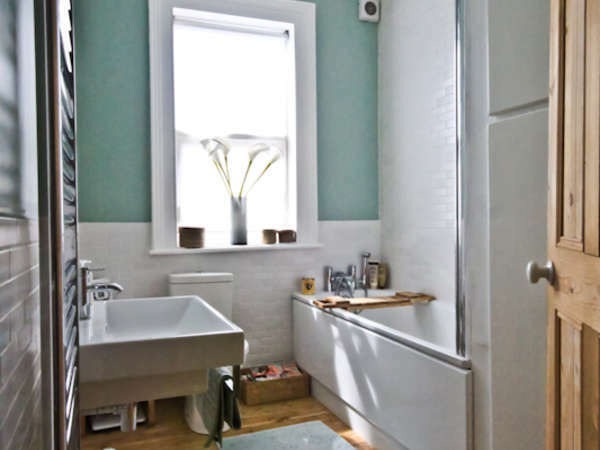 A new fresh white suite in the bathroom with sanded floorboards and duck egg blue walls suited the relaxed feel of this family home.